I've owned a 1975 C-182P and a 1977 C-182Q. I've taken three engines past TBO. The following is strictly my opinion based on a little over 4,000 hours in a182. They say every airplane is a compromise, and perhaps no airplane makes more compromises—while also delivering more capabilities—than the Cessna 182 Skylane. How do you measure a great airplane? Fuel efficiency? Speed? Useful load? Short-field capability? The list of qualities you might want in an airplane goes on and on. And the Cessna 182 Skylane probably comes out on top on exactly none of them. Yet the Skylane does so many things so reasonably well that it remains one of the most popular general aviation aircraft ever. It’s a good hauler, a stable IFR platform, reliable, decently speedy, and practically every mechanic can fix one. 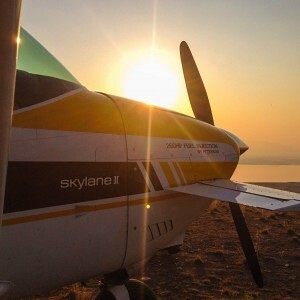 There are so many available, with so many different modifications and at so many different price points that the Skylane can fit the bill for a vast spectrum of pilots, from the backcountry enthusiast to the couple with a young family, the businessman, flight club, or the weekend $100 hamburger hound. I’ve owned a 1975 C-182P and a 1977 C-182Q. I’ve taken three engines past TBO. The following is strictly my opinion based on a little over 4,000 hours in these two airplanes. I started flying in 1980 and transitioned to a Cessna 182 about ten years later. Since then I’ve flown a Cessna 182 Skylane in and out of hundreds of backcountry airstrips in Idaho, Baja California, Montana and Utah, doing the research necessary to publish my backcountry airstrip guidebooks. 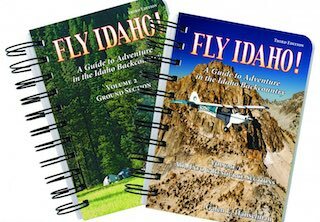 Most recently, I spent five years visiting and surveying the 83 airstrips in my latest guidebook, the Third Edition of Fly Idaho!, available on my website, www.FlyIdaho.com (shameless plug). 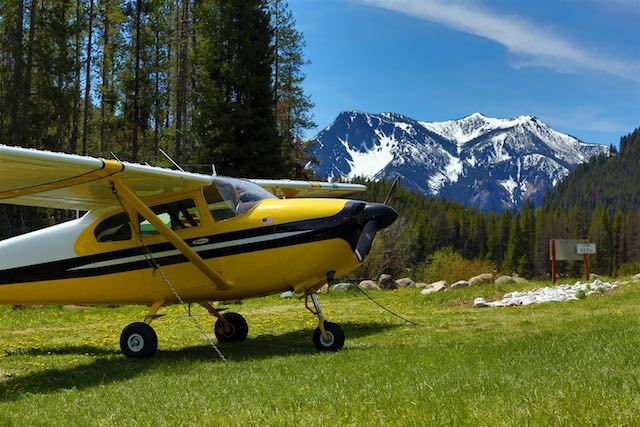 Nosedragger vs Taildragger in the Backcountry: Many people ask me why I don’t fly a taildragger, since the majority of my flying is to unpaved airstrips. Indeed, the nosedragger vs taildragger debate is an ongoing argument that will never come to resolution. That’s OK; it provides endless debate in hangars and Internet sites. All of my experience has been in nosedraggers. For me, I learned to fly what I had. 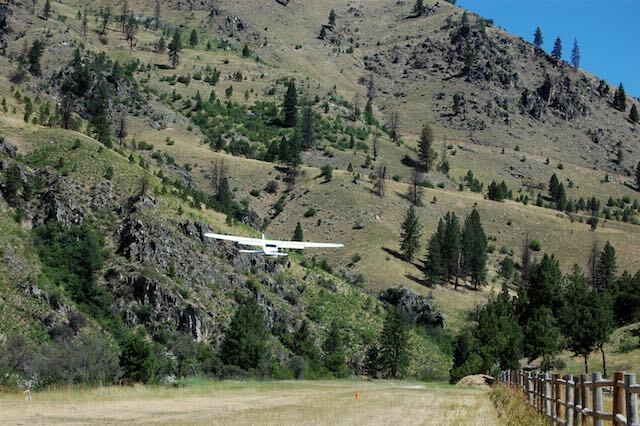 A taildragger has the advantage of better prop clearance but to be honest, the Idaho backcountry airstrips, unlike some in Utah, are not heavily overgrown. As a rule, nosedraggers aren’t as prone to ground looping and handle cross and tail winds better. My advice is to fly what you’ve got and learn to fly it well. I’m comfortable with the 182, and it gets me into all the strips I’d normally want to visit just fine. For most ops, prop clearance is more than adequate and the gear is high enough to keep my antennas from getting ripped off. On the rare occasion that I need to land at an extremely short airstrip, I ask my one of my friends who owns a Super Cub for a ride. The fact that it’s hard to find a taildragger without damage history should tell you something! Heavy Nose Myth: The C-182 has a reputation for being nose-heavy. Personally, I feel the older C-172s were a little too sensitive to pitch input. (I haven’t flown a newer one so can’t say if this is still true.) By trimming the elevator properly for landing, I’ve never felt the nose of a C-182 to be heavy. In fact, it feels just right. The C-182 is a heavier airplane than a C-172 and isn’t quite as prone to ballooning and porpoising. The early C-182s had an elongated nose strut that reminded me of Piper’s “flying milk stools.” These were indeed prone to damage and often resulted in an expensive firewall fix. I once witnessed a 1957 C-182 taxi off the runway at Smiley Creek. Although the nose strut was fully extended, it behaved as if there wasn’t enough oil in it. As it taxied off the runway, it went boing, boing, boing and had a prop strike. Later C-182s had a beefed up nose strut which is really quite strong but still not bulletproof. I witnessed a Skylane make a hard landing on a paved runway and subsequently couldn’t turn off onto the taxiway. There were cracked parts that prevented it from turning as well as a damaged tunnel. Land on the mains and not on the nosewheel. Wheel pants in the backcountry don’t last long. They’ll quickly get busted up or worse yet, get rocks or debris jammed in them that prevent the tire from turning. Now that creates some kind of excitement! There is no end to the forum discussions on how to extend the life of your landing lights. Someone even suggested rotating the bulbs so the filament was vertical as opposed to horizontal. Cessna designed a mounting bracket that didn’t allow this. One thing I found that greatly extended the life of my landing lights was to replace the rubber cushion that attaches the lower cowling to the frame directly behind the propeller. If you never want to worry about a landing light failure, there are LED landing lights available now in the $200–$300 range which is about 10 times the price of a filament type bulb. The spring on the baggage door latch is prone to breaking. Duct tape is an unapproved temporary solution and won’t pass inspection. Cessna won’t sell a replacement spring but only the complete latch. Current price is around $2,000. However, a replacement spring kit is currently available on eBay for $50. In backcountry operations, which includes operating without wheel pants and keeping the nose light on takeoff roll (which also means the tail gets closer to the ground) the leading edge of the horizontal stabilizer is prone to getting the bejesus pummeled out of it. It’s common to glue a rubber cuff on the leading edge. This is helpful in preventing paint chips but offers little protection from dents caused by flying rocks. No solution yet. My 1975 Cessna Skylane had a Continental O-470S engine. I liked this engine but I’ve heard that the O-470R was a better engine. Why? Don’t know. Burned exhaust gas valves are a common problem in O-470S. I had a couple cylinders that I replaced when the cylinder compression was around 14/80 psi. Ooops. Surprisingly, I couldn’t tell a huge difference in performance after the cylinders were replaced. Can’t explain. My 1977 Cessna Skylane has a Continental O-470U engine. In an effort to reduce noise, Cessna raised the compression in these engines and lowered the redline RPMs. When transitioning from an earlier engine to an O-470U, it’s a little disconcerting to not hear the engine wrap up on takeoff, especially on a short airstrip. I can’t say that it’s actually an issue but I’ve heard of individuals “inadvertently” adjusting the prop governor to raise the RPMs. As a tradeoff in a lower RPM, Cessna raised the TBO from 1,500 hours to 2,000 hours on this engine. My 1977 C-182Q came with a low-time engine in which the cylinders had been replaced early on with ECI cylinders. Four out of the six ECI cylinders failed, one catastrophically in flight. I’ve replaced the four of them with “first run” overhauled steel cylinders and have had no issues since. That still leaves two ECI cylinders (argh!) Why overhauled instead of new? It’s primarily a matter of dollars. History on cylinders disappears once they’re overhauled but at least the overhauled cylinders were still intact at the time of overhaul. Lean of Peak vs Rich of Peak: Here is another topic that gives rise to endless debate. My personal opinion is that I don’t think it’s a good idea to run a carbureted engine Lean of Peak. It might make sense in a fuel-injected engine but I’m not qualified to weigh in on that. I know there are some pilots who will run a carbureted engine Lean of Peak but I really don’t like the rough engine sound mine makes if I lean too far. I have lots of admiration for the engineers who designed this marvelous engine and airplane and I’d like to fly it within their design parameters. I installed VGs a few years ago and have been happy with the improved short-field performance, decreased stall speed, and better handling at slow speeds. When I first met my husband in 1995, he hadn’t flown in many years. He got current and we rented a few 172s before joining a club and transitioning to a Cessna 182P. We flew that airplane all around the West, from the 9,400-foot runway at San Diego International to the crooked and narrow 2,000-foot Hite airstrip above Lake Powell. Even though I’m not short, I needed to sit on towels to be able to see over the tall glareshield (same held true for the Cessna 210 we purchased later). You need to watch it if you park on anything less than level ground because the fuel system can self-siphon between tanks. If you don’t fly level it can happen in flight as well, and the only way to correct the imbalance is to select the fuller tank, rather than the “both” setting. We used to get about 125–130 KIAS at around 12 GPH, but of course those values vary some with altitude and conditions. We enjoyed flying relatively low for flightseeing, and since many of our then-favorite Utah destinations are at around 3,600 feet elevation, we probably averaged around 5,500 ft MSL most of the time. We only had two problems while flying it: once after a summer night takeoff at Williams, Arizona, at about 6,700 feet, the flaps stuck in the down position. We began to circle because we couldn’t outclimb the terrain, and our airspeed was deteriorating even as we began to head back toward the runway, working the flap lever constantly. Fortunately, the flaps unstuck. 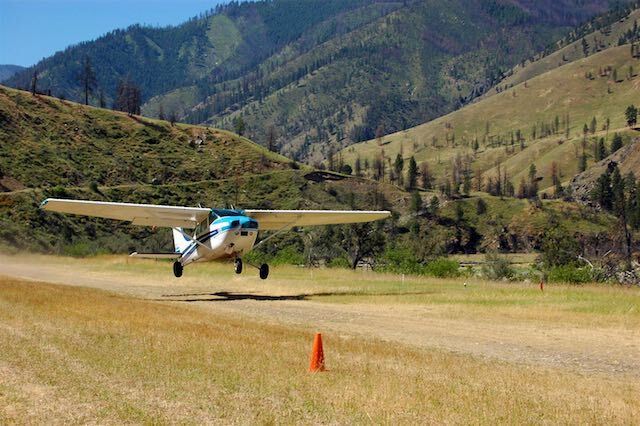 Another time, we went around on short final to a backcountry airstrip. When we pushed in the power, the engine ran rough and didn’t develop enough power to climb—carb icing. We hadn’t put in enough carb heat, and in a situation like that you can’t wait long for the ice to melt. Fortunately, the terrain fell away to the left and we headed that way until the engine caught. After that we always double-checked that the carb heat was on full whenever we reduced power for landing. The airplane was great for us and two children, but we had three in our blended family and the 182 was too small for all of them. After a year we purchased a Cessna 210 so all three children could accompany us on every trip. We appreciated the extra speed, too. But the retractable gear isn’t really suitable for rough airstrips. With the kids grown, our next airplane will be: a Cessna 182. And if our ship really comes in, a King Katmai. What is a King Katmai? It’s a modified Cessna 182, one of the dozens of mods available, and certainly the most extensive. The King Katmai is one of three conversions performed by Todd and Jo Peterson of Peterson Performance Plus in El Dorado, Kansas (the others are called the Kenai and the 260 SE). The Peterson conversions can be performed on Cessna 182 P, Q and R models, which cover the years 1970–1980. About 7,700 Cessna 182 Skylanes were manufactured in those 11 years. The basic purpose of a Peterson conversion is to enhance Short Takeoff and Landing (STOL) capability, reduce stall speed, and enhance safety at lower airspeeds. All of them involve the addition of a canard to the front of the aircraft. The Katmai adds extended wings. The Petersons perform many other modifications, large and small, including the installation of a larger engine, the sum of which result in an airplane that can take off or land in about 300 feet yet cruise at close to 160 KIAS. We covered the Katmai in another article for Disciples of Flight: //disciplesofflight.com/king-katmai/. Speed packages for the Cessna 182 include drag-reducing wingtips from Met-Co-Aire, 800-814-2697, www.MetCoAire.com. Find other speed mods at Knots2U, 262-763-5100 or www.Knots2U.net and Maple Leaf Aviation, 204-728-7618 or www.AircraftSpeedMods.ca. Horton produces both speed and STOL kits, 800-835-2051 or www.STOLCraft.com. 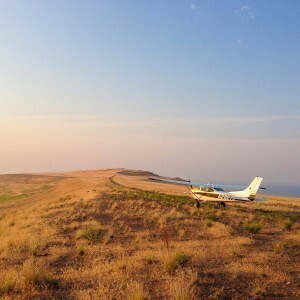 (A Robertson STOL kit on our Cessna 210 allowed us to operate at a number of very short airstrips in Idaho.) 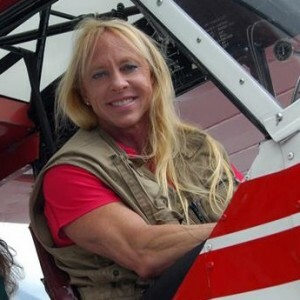 A Wing-X STOL conversion is available at 888-325-2588 or //www.WingXStol.com. You’ll find vortex generators at Micro Aerodynamics, 800-677-2370 or www.MicroAero.com. Speed brakes are available from Precise Flight, 800-547-2558 or www.PreciseFlight.com. Of course there’s nothing like more power and many Skylane owners have replaced their stock O-470 with a Continental O-520 or IO-550 for increased performance and utility, albeit at higher operating costs. Texas Skyways does the O-550 conversion for the Cessna 182 Skylane, 800-899-7597 or www.TxSkyways.com, while Air Plains offers both the O-520 and O-550 upgrades, 800-752-8481 or www.AirPlains.com. P. Ponk does the Super Eagle conversion on the stock Continental O-470 or the TSIO 520 engine; the company claims that either mod results in a 265–275-HP rating and cruise speeds of over 182 MPH. They can also install a new Hartzell blended airfoil propeller, 360-629-4812 or www.PPonk.com or go to the source: www.HartzellProp.com. A membership in the Cessna Pilots Association is recommended for all Cessna owners, 805-934-0493, www.Cessna.org. The Cessna 182 Skylane first appeared in 1956, priced a bit under $17,000. 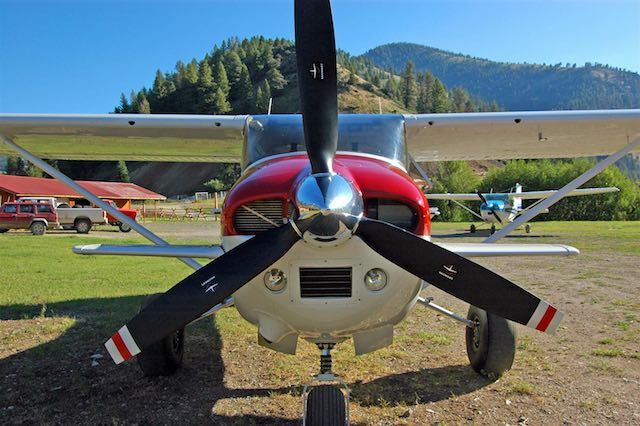 Cessna was already producing the conventionally-geared 180, so the company redesigned the fuel vents, exhaust, and fuel tanks, added a tricycle gear, and the 182 was born. From the get-go, the airplane earned a reputation for being nose-heavy, and that albatross has remained stubbornly hung around the 182’s neck. Many a Skylane has come to grief when its pilot failed to put in enough nose-up trim on landing. The result has often been an embarrassing porpoise excursion down the runway, or, worse, a smashed nosegear and bent firewall. Still, is that the plane’s fault or the pilot’s? The original 182 lacked a back window and sported the straight tail that is much-loved by many backcountry pilots. The gross weight was just 2,550 pounds, all powered by the venerable 230-HP Continental O-470-L. Cessna kept this engine in the Cessna 182 Skylane until 1986, when it went out of production. Over the next decade, Cessna made numerous improvements, redesigning the landing gear several times to give it a wider track and lower stance for more stability on the ground. The swept tail arrived in 1060 in the 182C and gave the airplane a classy look, though it resulted in both decreased rudder power and spin recovery. The rear window, as well as a roomier interior, appeared in 1962, with the E model, which also included electric flaps and full paint jobs as standard equipment. The wet wing was converted to a bladder system. Auxiliary fuel, raising the usable total to 84 gallons, was optional. The 1963 182F boasted a horizontal stabilizer that had been widened by ten inches, as well as flap pre-select, a thicker, one-piece windshield and back window, and a standard T-panel. An alternator replaced the generator with the H model. 1970’s 182N model sported a new gross weight of 2,950 pounds and an improved landing gear. A leading-edge cuff arrived two years later with the 182P, to the approval of the backcountry crowd who seek improved low-speed handling in the canyons. Fuel bladders were dropped in 1978. They didn’t fit well, sometimes forming a wrinkle across the bottom. Water sometimes leaked past aging O-rings in the flush fuel caps and sank to the bottom. The wrinkle acted as a dam to prevent the water’s removal during pre-flight sumping. On rotation, the water could spill over the wrinkle and choke out the engine at the worst possible time. To counteract this tendency, many pilots rock the wings, sump, rock again, and sump again, until all the water is out. The FAA issued an AD (AD 84-10-01) directing pilots to use this procedure and mandating the inspection of the bladders for wrinkles as well as the installation of more drains. By 1981, the R model had wet wings, a 28-volt electrical system, and an increased fuel capacity 88 gallons and gross weight of 3,100 pounds. The turbocharged T-182RII followed in 1982, powered by the 235-HP Lycoming O-540. Rising liability costs ended production in 1986. After Congressional action to limit liability, Cessna re-started production in 1997. The most notable change was the switch to the fuel-injected 230-HP Lycoming IO-540-AB1A5 engine. Interior treatments were much-improved, with painted metal replacing the old plastic, which tends to crack. The airplanes come with sealed wet wings and enough drains you might need a map to make sure you don’t miss any (12 altogether). After several years of BendixKing avionics, Cessna switched to the G1000. A new 182T will run you something on the order of $480,000. Those who value short-field capability above all tend to go for the earlier models, which are lighter. Airplanes from the 1970s and 80s are a mixed bag with many bargain aircraft available, though you’ll have to check them out thoroughly. But sort through them carefully and you might find a low-time gem. Interestingly, some of the latest models are depreciating rather rapidly and you might find a 1997 S model for under $135,000. The real surprise is the availability of some G-1000-equipped 2005 models for around $175,000. Just remember that if these early Garmins haven’t been upgraded to WAAS yet, they will cost a lot of money to upgrade, and you’re going to need that to comply with the upcoming ADS-B mandate and be able to shoot many of the GPS approaches now available. The trusty Continental O-470 engine, with 230 horses, has remained reliable through the decades, with the exception of its tendency toward carb icing. Four models of the engine, the L, R, S and U, were used. The U variant, which appeared in 1977, came with a 2,000-hour TBO, up from 1,500 hours. With so many of these engines out there, overhauls tend to run less than $30,000. Reliability, stability at cruise, comfort, easy maintenance, and the ability to do many things reasonably well—no wonder so many owners are content to own and fly a Cessna 182 Skylane decade after decade. Enjoyed your very well written article! Also the excellent photography! I am also a big fan of the Cessna Model 182. From the sound of your article I think you might also enjoy the Cessna Model TR182 if you haven’t already flown one. I may be somewhat biased as I was (now happily retired) a Cessna employee for 40 years. Had the privilege of being the Project Engineer for the Single Engine Resart Program. Keep applying your excellent writing and photagrophy skills, many of us really enjoy your “work”. I have a C182 canvas canopy cover(BRUCE COVER) for sale if anyone knows someone who needs one. My plane was a 182P , 1972 model. I’ll check in with some knowledgeable people and let you know what I find. It’s amazing what tucking those legs in will do for an airplane—in this case, adding another 12-15 knots at cruise, which really adds up on longer flights. The turbocharger probably adds another 20 knots or so. With the turbo you can go higher, burn less fuel, take advantage of tail winds, and, if you have oxygen, cruise at 20,000 feet at 173 knots and maybe even more. What’s not to love? Since we had three kids, we chose a Cessna 210, which of course has retractable gear, so that we could make good progress on cross-country trips, but without the turbo we usually got about 160 knots true. 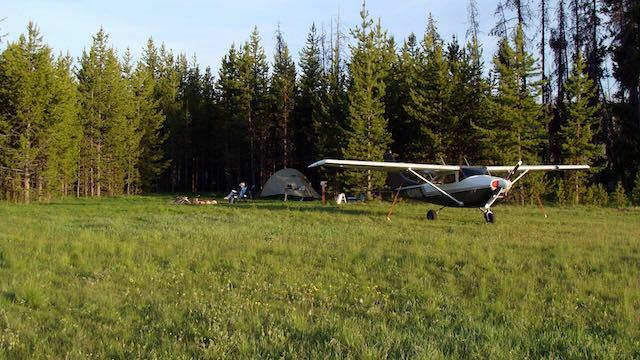 (We also had a Robertson STOL kit which we put to good use on Idaho’s short backcountry airstrips.) The Cessna 206 or 185 is so much slower! However, the retract cannot take the real rough strips. Also, I had two instances when the gear would not come down. Interestingly, they were the first time we ever took the plane for a flight after we bought it, and the first time I ever flew it alone. The first time it was because our alternator died and the battery was useless, so we lost power within a few minutes. The second time it was due to a broken part. However, 70 hand-cranks and the gear was down. It’s not easy to do when you are also flying, and it’s something you definitely want to practice. The other thing is you don’t want to extend the gear and really put a foot in it and slip the plane at too high a speed, when you need to lose altitude fast. We did this once and dropped the plane very quickly and effectively but bent the gear door. I am not sure but I think the turbo Skylane may have simple wells instead of doors, which puts an end to that problem. The turbocharger of course adds complexity and expense, and you will need to be mindful of your engine. Treat it gently or things can get expensive quickly. Having the turbo certainly helps when you’re flying around the mountains of central Idaho, not to mention Montana’s Bighorn Mountains, en route to North Dakota. And you’ll have a better chance of getting above the weather. You mention you won’t carry more than 3 passengers, let’s hope not, because it’s a 4-seat airplane. But I think of the 182 as perfect for two adults, or two adults and two kids or at least not large adults. Overall, it’s an excellent airplane. You’ll need to pay attention to the panel to make sure you have what you need for your mission. Fortunately, with regard to avionics, it seems we get more capabilities for less money almost every month these days. Enjoy!